I made small Gtk-Perl software that draws any HPGL file to screen and optionaly prints out coordinates. 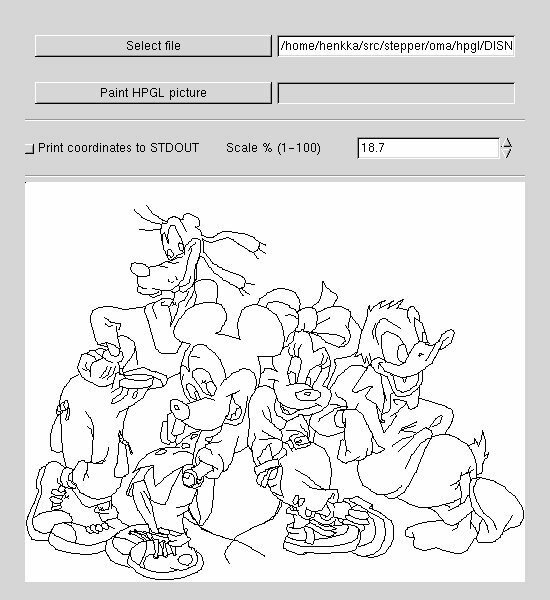 This software is partially (mostly idea) based on QBasic software from http://www.geocities.com/luberth.geo/plotter/plotter.htm. HPGL file selected with normal fileselecting screen. Scaling of picture 1-100 % to fit on the screen. Take a look to sourcecode. There is a much better page about linux and engraving at http://www.yty.net/h/cnc.